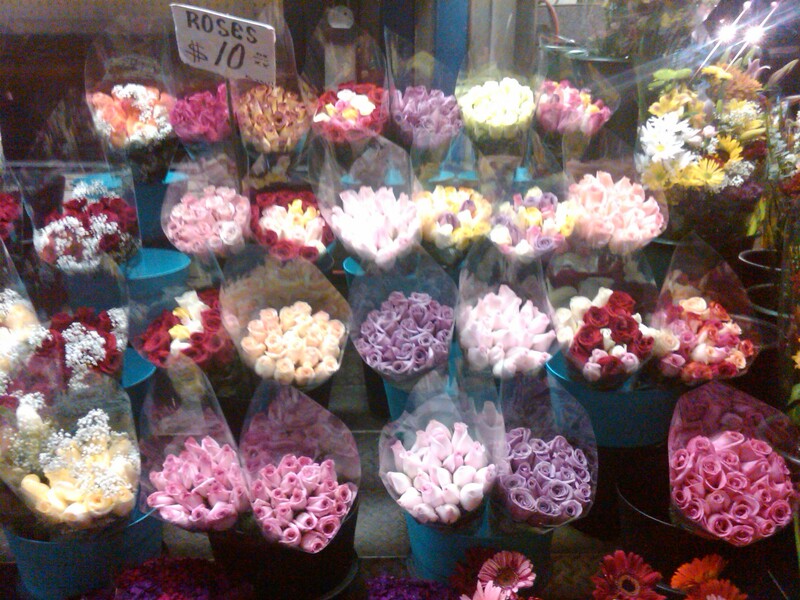 One of my favorite little weekend treats is to buy some flowers from a 9th Ave. flower bodega on my way home on Friday night and have a pretty living thing in the apartment. The odd NYC roach most definitely does not count. Flowers beautifying the sidewalks Hell’s Kitchen (and, affectionately, that neighborhood really needs it). This time around I got two hydrangea stems and decided to put them in a ceramic pitcher my host family from Alsace brought me on a Stateside visit. Note to (blonde) self: a good hostess checks if the vessel holding liquid is cracked before adding water. 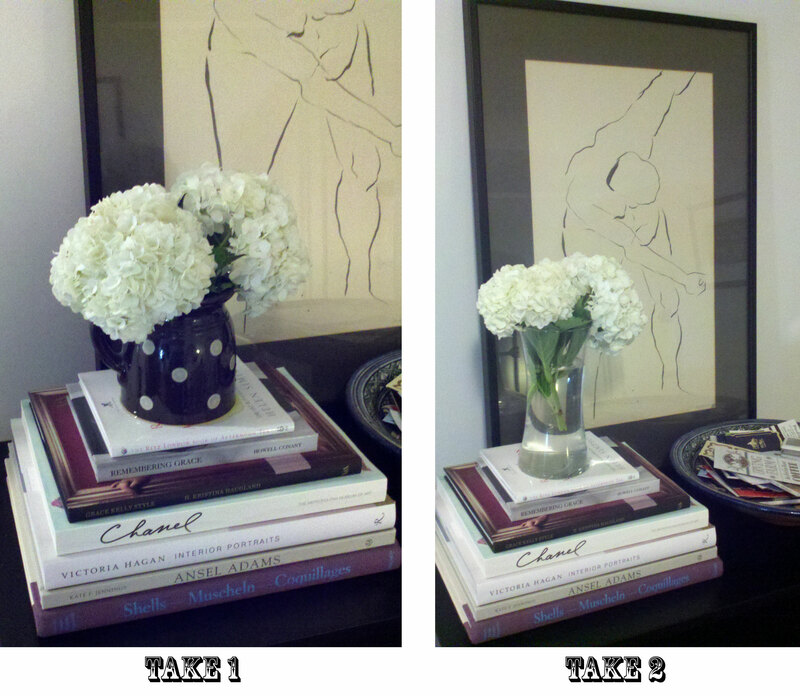 Because this little weekend idea to use a new vase was a fail. Water seeped through the vicious little crack and got all over my coffee table book stack. Luckily the handy dandy The Ritz London Book of Afternoon Tea‘s laminated cover saved me from damage on a more epic scale. Easy clean up courtesy of the Brits. Keep Calm and Get the Dishtowel. Soufflenheim pottery pitcher from Alsace got a crack in its travels to the US unbeknownst to me. Turns out, you can actually already see the water seeping out in Take 1. Blind hostess!! Tip on hydragnea care – cut the stems to have a fresh end and then cut vertically into the stem so it splits a little bit. Helps the flower drink more water. These blooms are going into week two. Thank you, Sir Bodega for that pointer. ← Where have all the pumpkins gone?